Most everything I’ve learned (and continue to learn) about marketing and the web has come via the inspiration and example of others—reading amazing blogs, learning from great content, and diving deep into favorite books. I’d love to share, in particular, the books that have been most influential to me and other digital marketers. I’ve put together a list of 30+ that include some of my personal favorites, some favorites from my Buffer teammates, and some favorites from a handful of the best marketers online. 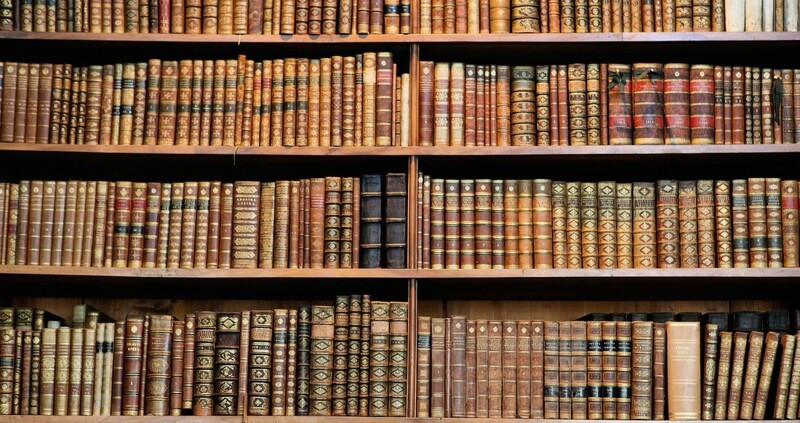 Does your favorite business book make the list here? I’d love to know which ones have been meaningful to you as well. The book that has informed the bulk of our culture and values here at Buffer, How to Win Friends delves into the specific ways with which you can communicate and empathize with everyone. We’ve gained such great value from this in the ways we seek to grow and improve as people and as marketers. Talk to someone about themselves and they’ll listen for hours. Perhaps the most well-known and influential book on persuasion, Influence is referenced all the time by marketers who desire to be thoughtful and smart in their approach to creating campaigns and copy that appeal to others. A well-known principle of human behavior says that when we ask someone to do us a favor we will be more successful if we provide a reason. People simply like to have reasons for what they do. We’ve gained such great value from the ideas in this book, in particular the Hooked model of Trigger > Action > Reward > Investment. There’s tons of great insight here into how people get hooked into products and how to replicate this model for your brand and business. Many innovations fail because consumers irrationally overvalue the old while companies irrationally overvalue the new. Written by behavioral economist Dan Ariely, the book touches on the irrational decisions that we often make, sometimes subconsciously. Trust, once eroded, is very hard to restore. A great read for finding motivation and drive to complete creative projects, Make Ideas Happen touches on the aspects of productivity that are critical to creative jobs (which seems to fit well for those with a marketing mindset). An idea can only become a reality once it is broken down into organized, actionable elements. What makes things go viral? Why are do some products take off and others don’t? Jonah Berger answers these questions by going deep into the science of word-of-mouth and social persuasion—all of which is incredibly applicable to the high-level thinking in social media strategies. Virality isn’t born, it’s made. Made to Stick digs into the reasons behind the longevity and stickiness of ideas, and it’s easy to draw the line to content and social media marketing as well. Chip and Dan Heath cover six key principles as to why some things stick and others don’t: simplicity, unexpectedness, concreteness, credibility, emotions and stories. The most basic way to get someone’s attention is this: Break a pattern. Daniel Kahneman, who holds a Nobel Prize in economics, shares about the science of our minds and how we often take one of two paths: fast and intuitive thinking, or slow and deliberate thinking. Nothing in life is as important as you think it is, while you are thinking about it. Atkin’s research into brands with devoted followings reveals a lot of interesting details on how to cultivate and grow a community. Some of the ideas mentioned here aim to build relationships with an audience by helping people feel unique, important, and belonging to a group—values that may resonate with many marketers. This book fits in really well with our Buffer value of working smarter, not harder. Shane Snow, co-founder of Contently, takes a look at a host of different success stories—everyone from Jimmy Fallon to Alexander the Great—and identifies the ways in which these people have found to achieve great things in a short amount of time. There are a lot of great inventors and improvers in the world. But those who hack world-class success tend to be the ones who can focus relentlessly on a tiny number of things. In other words, to soar, we need to simplify. A great guide to how our minds respond to advertising, Buy-ology looks at our reactions to marketing messages and the elements that resonate with us most. When we brand things, our brains perceive them as more special and valuable than they actually are. Perhaps the original book on marketing psychology, Extraordinary Popular Delusions was first published in 1841 and contains truly timeless insights about the way that our brains process and respond to media and messaging. I never lost money by turning a profit. All of Seth Godin’s books are wonderful resources for feeling inspired to achieve great things with your marketing. Tribes, in particular, seems to have a lean toward the social media side of things as it covers the topic of audiences and communities (and how to become a leader). The secret of leadership is simple: Do what you believe in. Paint a picture of the future. Go there. People will follow. You’ve got to unlearn what you have learned. The title of this one hints at the message: Be strategic with the way you sell on social media. Gary Vaynerchuk is one of the most influential names in online marketing, and the ideas he shares in this book have been key to his growth. We gained so much from reading this book together as a marketing team here at Buffer. The book covers 19 different traction channels that might be worth exploring for your business, as well as the specific exercises needed to find the channels that will work for you. This is what we call the 50 percent rule: spend 50 percent of your time on product and 50 percent on traction. Offering a fresh perspective on marketing, To Sell Is Human discusses the idea that we’re all salespeople, not just those of us who hold marketing titles. It’s a very clarifying conversation for anyone who sells (or shares) online. Anytime you’re tempted to upsell someone else, stop what you’re doing and upserve instead. Author, designer, and creator Paul Jarvis shares all his best tips in this book—lots of specific, actionable ways to take control of new projects and build and launch things. If we don’t let our weirdness rise to the surface, we don’t let our work stand out. A hugely comprehensive resource, The New Rules features case studies and examples of great marketing campaigns, as well as providing insight and ideas about what might work for your brand and business as marketing evolves. Barack Obama is the most successful new marketer in history. Study his campaign so that you can adapt the ideas for your business. Redefine the market into something much smaller and more manageable. Offering a simplified view of many successful marketing ideas, this classic book comes form a neat perspective of high-level marketing strategies that were working when the book was published (over 20 years ago) and continue to work today. The only reality you can be sure about is in your own perceptions. If the universe exists, it exists inside your own mind and the minds of others. My all-time favorite writing book, Bird by Bird takes such an empathic perspective to what it’s like to be a writer—whether you’re writing fiction or blog posts, the advice rings true. Anne Lamott shares a great bit of vulnerability in the book, which helps make the advice feel all the more real and useful. If you give freely, there will always be more. A fantastic introduction to content writing, Ann Handley’s book covers all the basic steps of how to write online—and how to write well. In an online world, our online words are our emissaries; they tell the world who we are. Full of great wisdom on writing books and stories, On Writing also contains great bits of advice on writing in general, with tips on how to best form sentences and organize ideas, all of which can come in handy with blog posts, emails, and updates, too. The scariest moment is always just before you start. There’s lots of great stuff in this content marketing guide from Joe Pulizzi, both in terms of the writing itself and also in approaching content marketing from the right perspective. Covering the best ways to write for the web, Nicely Said also comes at the topic from a neat perspective: That of voice and tone and engaging directly with your reader. Helping people and making them happy is the best kind of marketing you can do. This classic collection of sales letters shows the thought and care that goes into choosing the right words and angles with which to create your copy. Collier’s explanations of why things work (and why they don’t) is hugely applicable for online writing as well. You have to compete in the same way for your reader’s attention. He is not looking for your letter. He has a thousand and one other things more important to him to occupy his mind. Why should he divert his attention from them to plow through pages of type about you or your projects? Ogilvy, who is regarded as the “Father of Advertising,” mentions that this book contains all his best advice and strategies for copywriting. It’s all timeless and priceless pearls of wisdom that continue to hold up 50 years after Ogilvy first used them successfully. In my experience, committees can criticize, but they cannot create. ‘Search the parks in all your cities You’ll find no statues of committees. A great resource for new writers, Zinsser’s book touches on several key topics that can help tighten up one’s writing and make for a smooth and polished finished product. Some of the advice gears toward journalism and authors, while still being quite applicable to the day-to-day copy tasks of online writers as well. Decide what you want to do. Then decide to do it. Then do it. Style was a wonderfully surprising and useful resource for me and one that quickly became an all-time favorite writing book. I’ve found more useful anecdotes and examples in Style—useful for the work I’m doing today, online—than I’ve found in most any writing book in the past several years. How is clarity to be acquired? Mainly by taking trouble; and by writing to serve people rather than to impress them. It’d be so great to hear what’s currently on your reading list or wish list. It’s be wonderful to hear from you—either what books have been your favorite business and marketing reads so far or which ones you’re excited to pick up and explore soon. This post first appeared on Buffer.